YouTube is ideal for sharing videos for business and personal purposes, but that doesn’t always mean you want the world to see them. When you’re trying to figure out (or change) your YouTube settings, you may be left wondering just how secure your unlisted video is. What does unlisted mean on YouTube? An unlisted YouTube video can be viewed by people who have the video link. It will not appear in public places, such as search results, your channel, or subscriber feeds. However, YouTube unlisted videos will appear publicly if shared in playlists or embedded on a website. That’s a basic overview of the meaning of unlisted on YouTube. If you want your videos to be as secure as possible, it’s best to consider making your YouTube videos private. This article is your ultimate guide, with step-by-step instructions to public vs. private vs. unlisted YouTube videos and how to manage video privacy on YouTube. Be sure to check out the last section on unlisted video FAQs, tips, and hacks; those unlisted videos might not be as secret as you think. People decide to make a YouTube channel for many reasons. Whether it is personal or private, there are times it makes sense to create videos that are unlisted. To better understand the meaning of an unlisted YouTube video, let’s take a look at what a public YouTube video is. Then, we’ll dive into the difference between unlisted and private YouTube videos. There are pros and cons to each; the best privacy settings for your YouTube videos can vary on a case-by-case basis. Then, we’ll dive into the difference between unlisted and private YouTube videos. There are pros and cons to each; the best privacy settings for your YouTube videos can vary on a case by case basis. If your video is unlisted, it will be harder for users to cite a YouTube video in their research papers. What is a public YouTube video? A public video on YouTube can be seen by anyone. 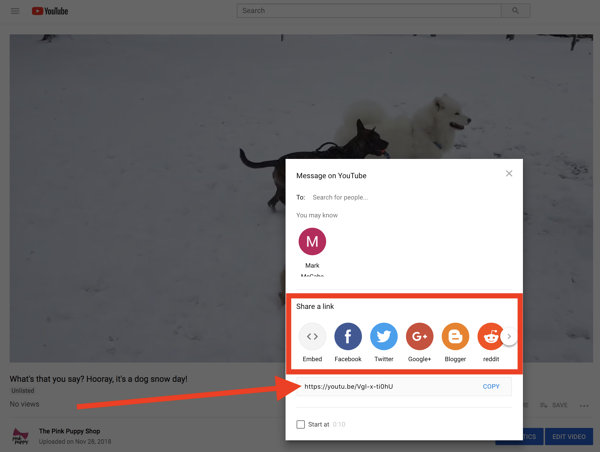 It can appear on search results within YouTube, as well as search results right on Google. 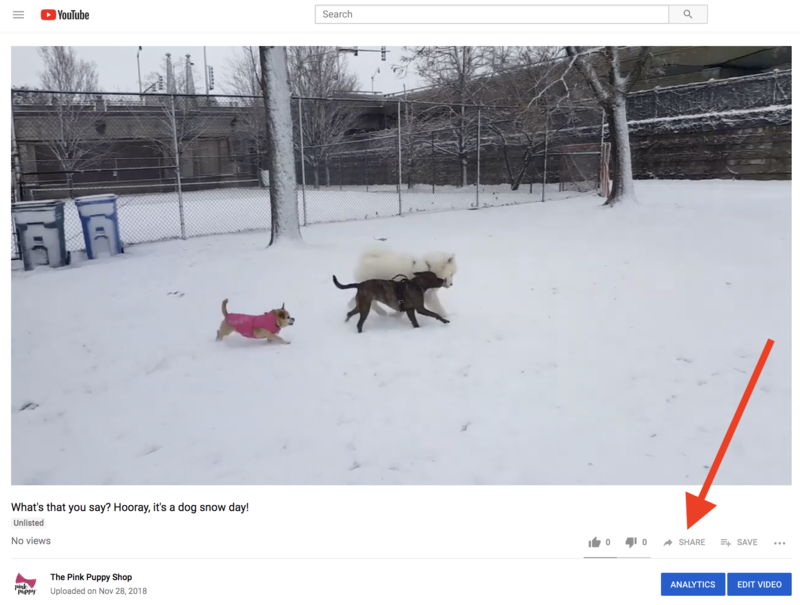 For example, when I Google, “dogs at work,” the very first video result is courtesy of YouTube. Why use public YouTube videos? If you want to grow brand awareness, public video settings are most definitely the way to do it. Would I want my boss to see this? Could this keep me from getting a job? Will anyone consider the video offensive or harassing? If my friends see this, will I be the subject of endless ridicule? If the answer is yes, think long and hard before you use those public settings and consider uploading your video as private or unlisted. 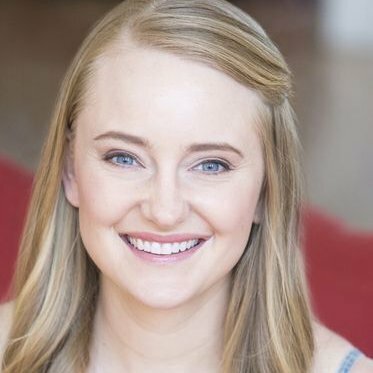 So, if public YouTube videos aren’t right for you, what is? What’s the difference between unlisted and private videos? Let’s take a look! What is an unlisted YouTube video? 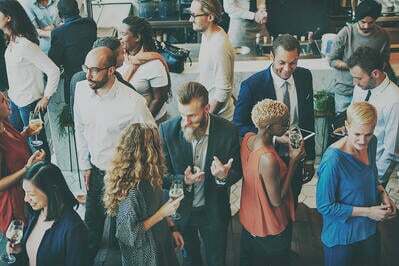 If you don’t want your video to appear in search results, but you have a large group of people you want to share your video with, unlisted is the way go to. However, anyone with the link to your video can share that link with others. Highly sensitive information should have private settings. Why use unlisted YouTube videos? What is a YouTube private video? A private YouTube video can only be shared with the specific people you invite to view the video. Even if someone has the link, you must give the person access to the video. This is the most secure type of video on YouTube. Unlike unlisted videos, when you share a private YouTube video, that person cannot share the video with others. If you want to share your private video with more than 50 people, sadly, you are out of luck: YouTube limits you to share the video with just 50 other users. Why use private YouTube videos? That last one is why I use private videos. With a few thousand dog pictures on my phone (literally), I run out of room quickly. By uploading my videos to YouTube with private settings, I can still keep my content without running out of storage space on my phone. The following chart details the specifics on who can view public, private, and unlisted YouTube videos. If you’re confused by the difference in those settings, or have further questions about who can see your unlisted videos when it comes to your YouTube channel and sharing, use this chart as your guide. Can anyone see my YouTube video if it is embedded in a landing page? If you’re on the fence between unlisted and private, I recommend unlisted, and here’s why. When you have super-secret content you need to guarantee no one else will see, private is indeed the way to go. But, be aware that anyone you want to share the video with needs to have a YouTube account (And be logged in to it). 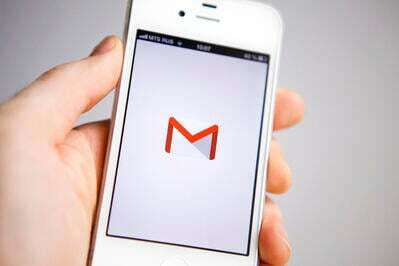 This is the same as a Google account; anyone who has Gmail will be able to access the video. There are some family members of mine (who shall remain nameless) who don’t have a Google account. If I want to share a private video with them, I would need to set up their login. Then, I’d need to make sure they stay logged in or remember their password! All in all, some people in my life would require a lengthy phone call full of instructions to view the video, so private might be too much work in the long run. If you are sharing a private video for company purposes, your co-workers will not just need to have a Google account, they must be logged in to it. If your company doesn’t use Google for business purposes, make sure there are no firewalls blocking access to personal Google and YouTube accounts. Remember, even if they can access their personal YouTube accounts at work, some employees may prefer not to log in when they fear their company may be able to see their private information. Use these instructions to upload an unlisted video to YouTube. If you need more in-depth information on the process, read this article on how to upload a video to YouTube. Begin by making sure you are logged in to your YouTube channel. Now, it’s time for the important part: selecting your video’s YouTube privacy settings! If you missed step two, and uploaded your video first, you can still ensure your video is unlisted before publishing. After clicking on the word “Public,” choose “unlisted” in the drop-down menu that appears. Here’s what the privacy drop-down menu looks like if you’re uploading an unlisted video from your mobile phone. 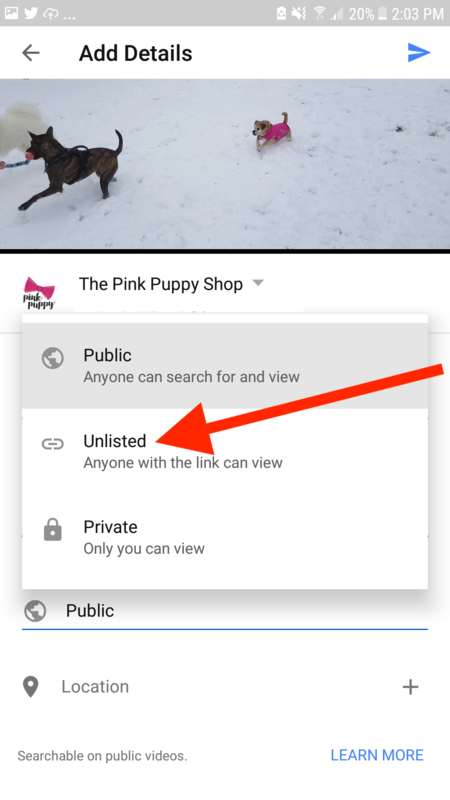 Making sure that the drop-down menu says “Unlisted,” click the “Done” button in the upper-right corner of the video. As soon as you’ve published your video, a page that looks like this will appear. Simply copy the URL provided and share it with anyone you’d like to see your video. We just looked at how to share an unlisted video immediately after publishing. If you’ve published your video days, weeks, or months ago, and would like to share it, use these instructions. Click on the row of the video you plan to share. Then, hover your mouse near the video’s title. You’ll see a small YouTube icon appear. When you hover over that icon, the words “View on YouTube” will appear. Click on the share button. 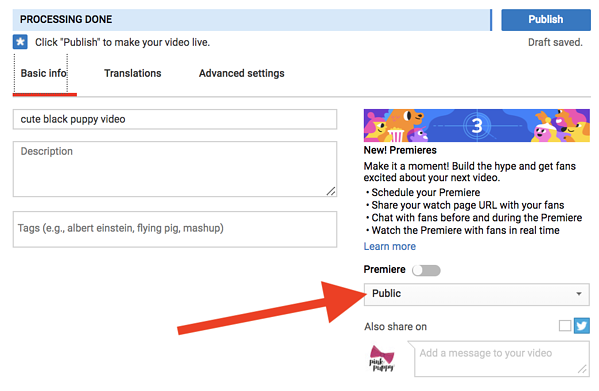 Regardless if you want to share a link, embed your unlisted video, or share it on social media, this is the way to go! Link sharing: To text or email your video, copy the link the arrow is pointing to. Embedding: To embed your video, click on the first button pictured under “Share a link.” There you’ll find the video code you need. The previous instructions showed how to upload a video with unlisted settings. The same way you can change your YouTube name, profile picture, or URL, you can also change your YouTube privacy settings. Here are the steps to make a public YouTube video private. Once you find the correct video, click on the settings found in the “Visibility” column. All that’s left is to click the “Save” button and make it official! Even if you don’t see any kind of notification, rest assured that you have made your video unlisted as soon as you click save. Because unlisted videos don’t appear on your YouTube channel, they can be tricky to find. I promise, they didn’t disappear! Here’s how to see your unlisted videos without committing a lengthy URL to memory. And, guess what? It’s only two steps! Click on your channel icon in the upper-right corner of your screen. The page that appears is your YouTube video manager; here, you can see all videos you have uploaded to YouTube. Use the “Visibility” column to see which videos you have set to public, private, or unlisted. Now that you know how to create, share, and change YouTube privacy settings, I’m here to make sure none of your questions are left unanswered. Some of these answers could be considered hacks enabling you to see videos that are not meant for public viewing. Please, don’t be that person. This information is being shared so you have the full story on exactly how secure your unlisted videos are. Don’t be a jerk. I’m begging you: Respect people’s privacy. People say, “The internet is forever,” and, “Nothing is really private on the internet.” While that may be true, do your part and respect people’s privacy. OK, PSA done! Now, on to answer your burning questions about YouTube video privacy. Can people find unlisted YouTube videos? Unlisted videos will not appear when searching within YouTube. While public YouTube videos come up in search results, unlisted videos do not...most of the time. This is one of those secret YouTube hacks I share with caution. There is at least one website I know of that compiles unlisted YouTube videos. If you’re creating and sharing unlisted YouTube videos, it’s essential to know these sites exist. If you’re sharing unlisted videos with people you don’t trust, or putting them out on social media, you risk your video ending up on these sites. Search operators are symbols and words that give users specific results. By using search operators on Google searches, users can narrow down search results and get precise results. Because YouTube videos appear in Google search results, these operators can enable people to find unlisted videos. This screenshot gives an example of how people can find unlisted YouTube videos through search operators. Notice there are about 5,000 results. The good news? 5,000 is a small percentage of the number of unlisted videos on YouTube. Why can’t I view private videos on YouTube? If you can’t view a private video on YouTube, make sure that the video owner has given you access. Even if you have the video’s link, you must have a YouTube account. If you’re logged in to your YouTube account, and you’re still having problems, check to see if the video creator has given permission to you. In addition, remember that there is a limit to the number of users who can access a private video; there is a maximum of 50 users. What about unlisted playlists on YouTube? The same viewing rules for unlisted, private, and public videos apply to playlists. Private playlists require permission to view. Remember how you chose your video’s privacy settings when uploading it to YouTube? Similarly, when you make a playlist on YouTube, you will choose who has access to view your playlist. And, the same way you can delete playlists on YouTube, playlist privacy can also be changed, even after you’ve added it to your channel. Do unlisted videos show up in public playlists? If a playlist is unlisted, your video is not available for public viewing. However, if your unlisted YouTube video is shared in a public playlist, your video is out there for the world to find. In this example, the bottom video, “Cute Black Puppy is Too Excited,” is unlisted. Yet, as you can see in this screenshot, anyone who views this playlist can also view the video. Can unlisted YouTube videos be embedded? Yes, you can embed an unlisted YouTube video. After uploading your unlisted video, a screen will appear with options to share your video. Click the tab that says “Embed.” Then, copy and paste the code that appears. Why this matters: We’ve established that you can embed unlisted YouTube videos. But do you know what that means? Other people can too! And anytime your video is embedded on a website, anyone who views that blog or landing page can also see your video. So, while your video doesn’t come up in search results, it is out there for anyone to see. Whatever your videos needs, YouTube has a privacy setting that enables use of the platform. Now that you know the ins and outs of public, unlisted, and private videos, you can upload your videos to YouTube with confidence.